This is a quirky little post on some of the "tools" and extras I use. I wanted this Stash Week series to pretty much show everything, so here are all the straggly bits lol. 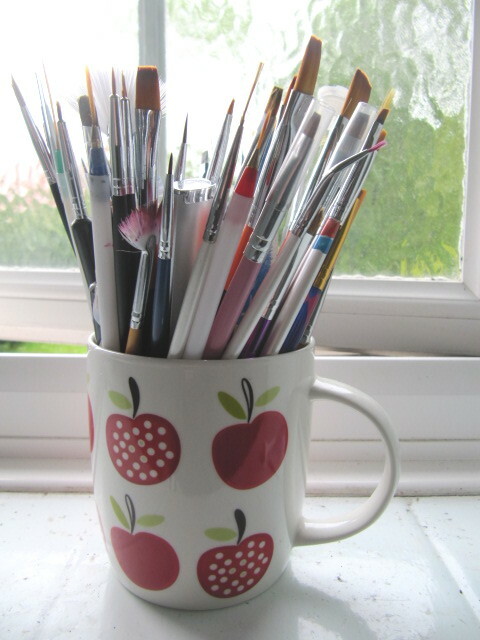 First my lovely mug of brushes and dotting tools. I use about 10% of them lol, but don't they look lovely in that mug ? Let's take a close look at what's in there. 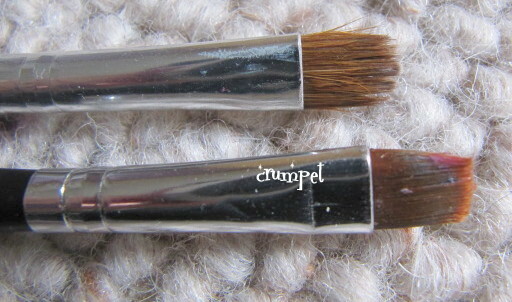 These are the 2 brushes I use for clean-up. They have flat edges and they stay stiff. As soon as one brush goes "floppy", I switch to the other one. 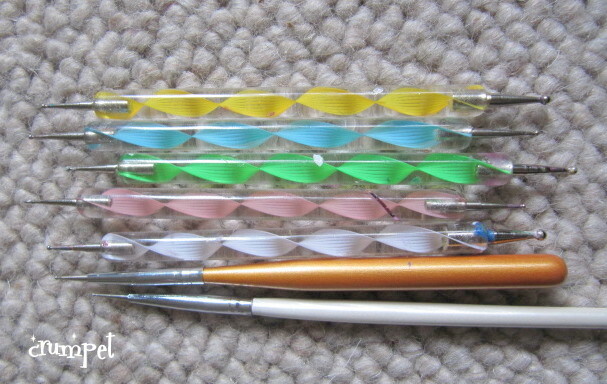 I particularly like the dotting tool on the end of the purple one - it's great for removing troublesome glitter. And here are some others I bought as back up. 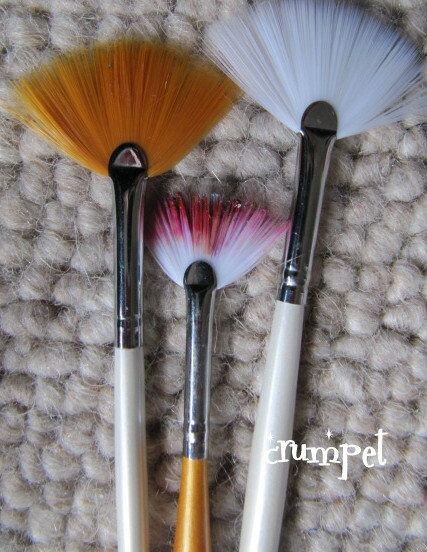 Here's my new striping brushes which I've been using from time to since the start of the summer challenge. They have definitely helped me a lot, I just need to get better at using them. 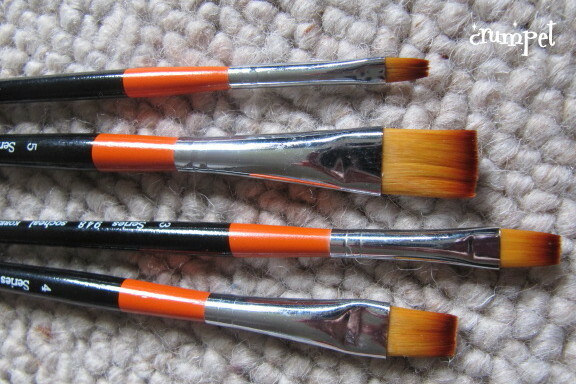 Fantail brushes - I used to be "WTF are these doing here", but now we know, goddesses, now we know. 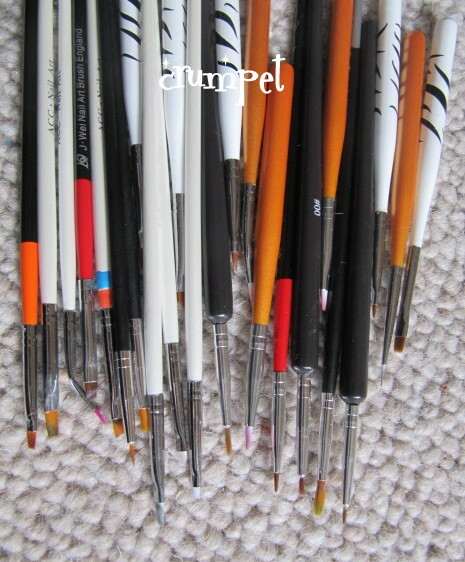 A LOAD of brushes I never use. I've tried some, and they're just too clumsy for me. Most of these will probably be trimmed into a better shape at some point to give me more precision. 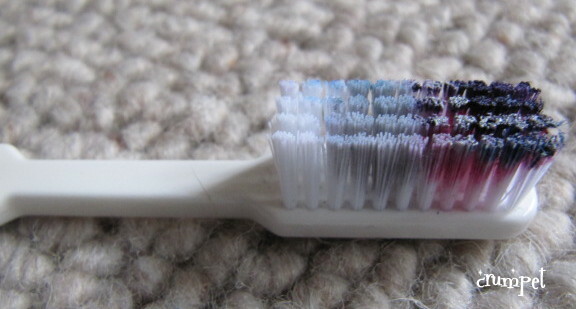 A toothbrush. Yes, you heard right, and that's coming to the blog soon. 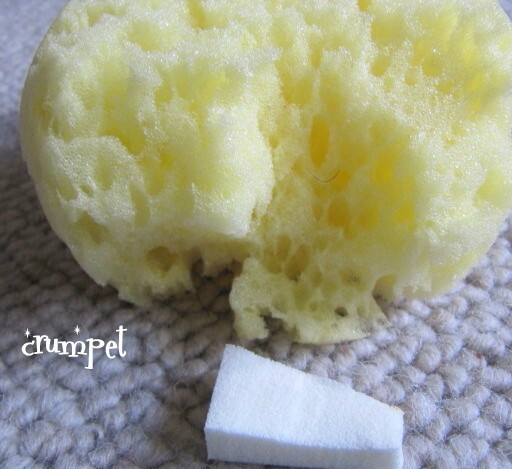 These are the 2 types of sponges I use, depending on whether I want a smooth finish or not. 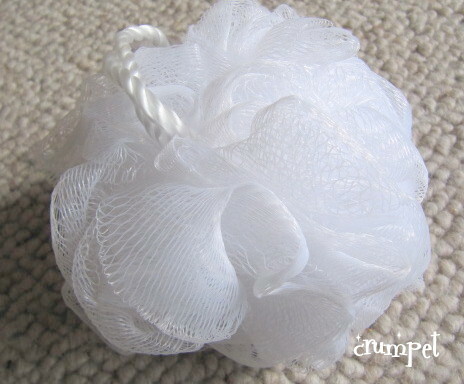 A bath scrunchy - I've used it once to sponge through. 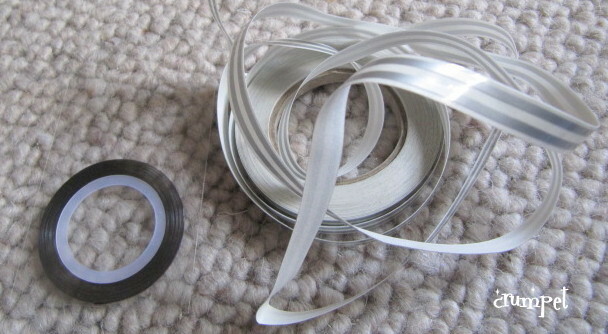 Striping tape in 2 sizes. Because I have big paws I needed the wider tape. There's 2 strands of tape on the backing paper of the larger reel. 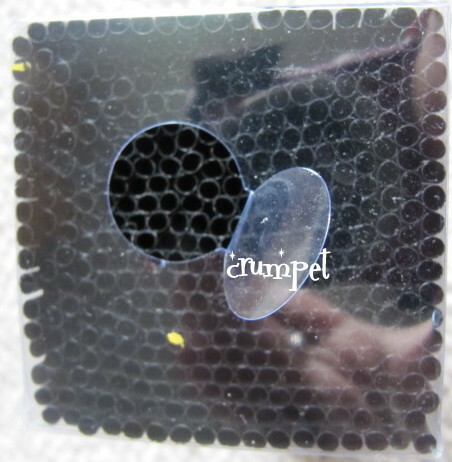 I think the thin one is only about 1mm. 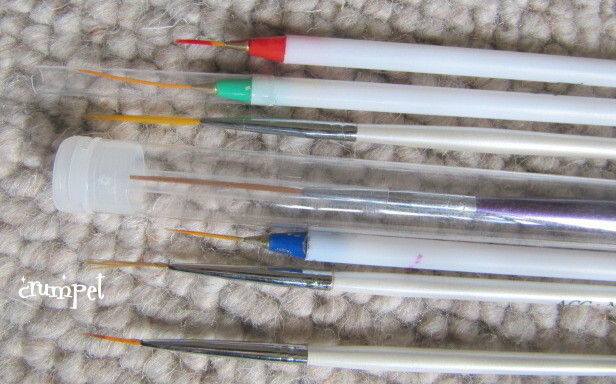 Pencil with deadly needle weapon on the end - I use this for needle marbling. Then we've got my "posh" stripers incl my beloved lirrle bottle of CG Ink. This whole drawer is also full of stripers. This drawer contains those things that are part striper / part squeezy. 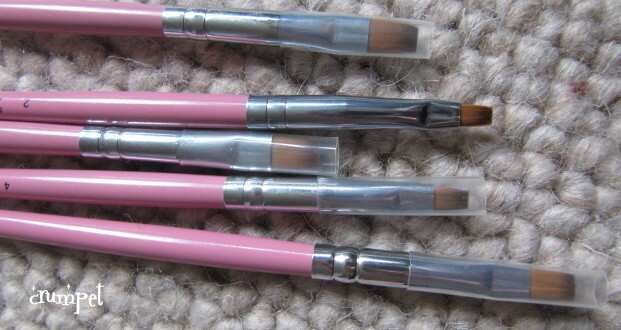 I only ever use the squeezy end, partly for precision, but also because they were cheap and so the brushes are quite limp. Now I want to take you through some other things I use. Firstly, Zoya Remove. 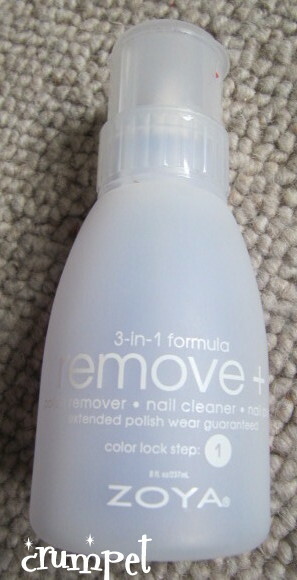 It's the only polish remover I use. It leaves my nails feeling lovely and strong. The smaller bottle is my clean up bottle - I just pour a little bit into the lid. Base coat - I pretty much only use Nail Envy by OPI - again, I can just see and feel the difference in my nails. I use the Sensitive and Peeling version. 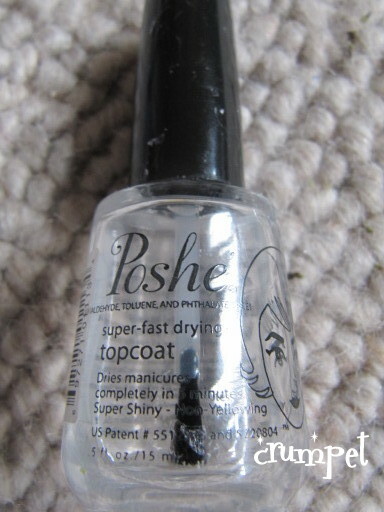 Top coat - it's all about Poshe for me. I've tried loads, and I really do believe top coat is all about chemistry. I've heard so many women speak about top coats, and it's clear that different skin types and acidity result in different experiences. Poshe dries fast and MEGA glossy - your nails look like glass - and that's why I love it. (Oh, and no shrinkage). This is my blobbing mat - it's the lid of a takeaway tub. If I'm doing nail art or sponging, this is where I pool the polish. 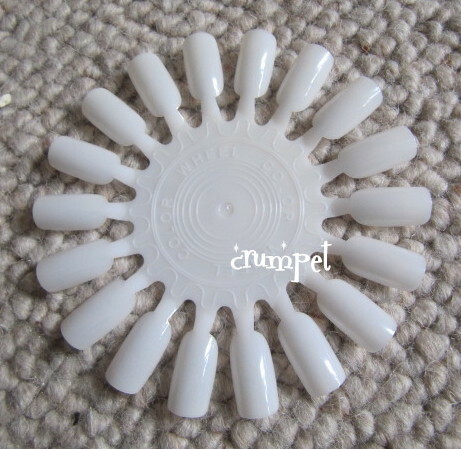 This is the sort of nail wheel I use. 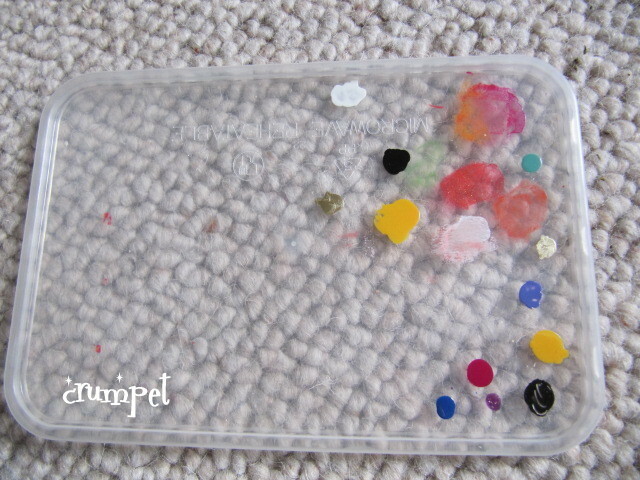 I prefer the slightly coloured ones to the clear ones - they're also less curved, giving you a better look at the polish. My straws for splatter manis. 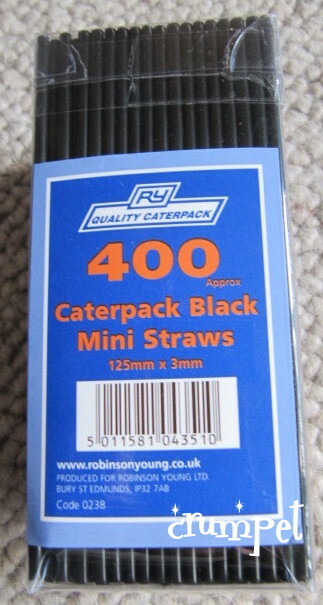 The trick here is "the smaller the better" - the narrower the straw, the better the effect. 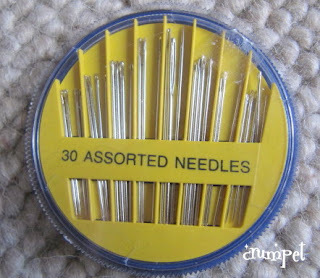 And my needles for needle drags - which I need to practice more. And OPI Avoplex - this is the hand cream I use. I have really dry skin and this is the only one that really makes my hand feel as soft as a baby's bottom after a mani. 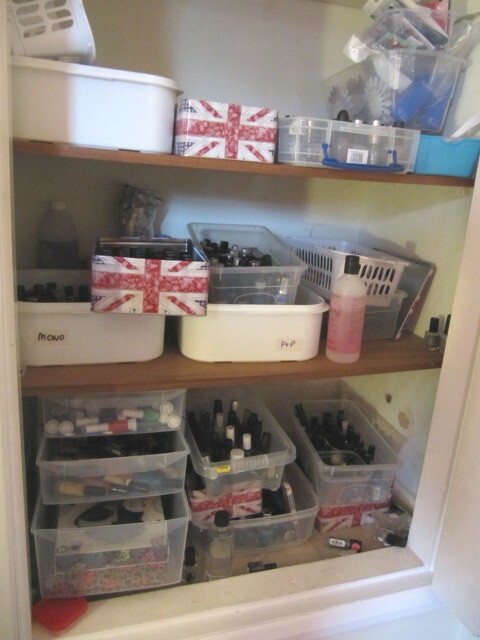 And finally, here's what my nail cupboard looks like. Most of the things in today's post either sit on the nail desk or they're in boxes ont he nail desk, and if you think I'm showing you what THAT looks like .... nooooooooo. It's er, an artful jumbo in a constant evolution of flux. Yep. It's a mess.